RIP: Ex-Mbarara Vicar General Hilary Tibanyenda. Courtesy photo. MBARARA: Former Mbarara Archdiocese Vicar General Monsignor Hilary Tibanyenda is dead. Msgr Tibanyenda died on Wednesday at Mbarara University Teaching Hospital, Mbarara Archdiocese authorities announced. Msgr. Tibanyenda, who succumbed to natural causes, was trained in the United Kingdom and ordained a priest on June 11, 1960 at Rugazi, present day Rubirizi district. After more than four decades of dedicated and unswerving service to God’s people and the church, he will be laid to rest on Friday, July 28 at Nyamitanga Cathedral. The faithful will recall his notable contribution with Mr Dennis Ahimbisibwe, the Archdiocese of Mbarara Development Association (AMDA) Secretary General, listing some of his distinguished roles while still in service, including leading the young diocese as acting Bishop for more than one year. At the time he led Mbarara, the diocese was awaiting consecration of the late Bishop J.B. Kakubi in 1969. 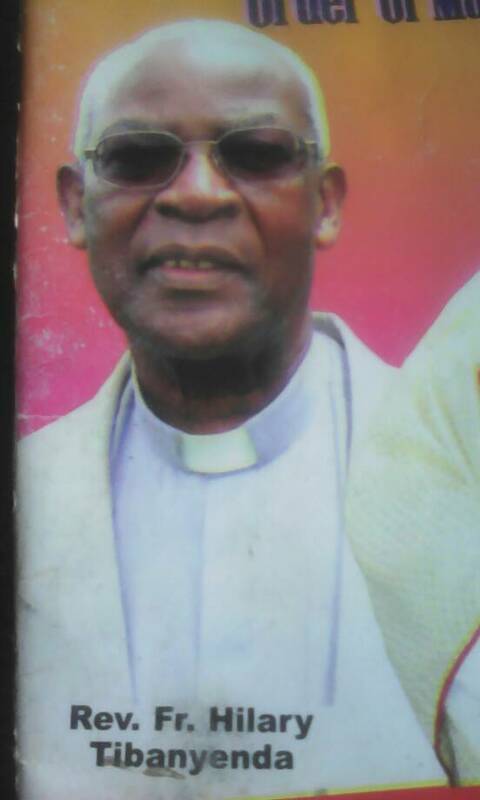 He was Rector of Kitabi Seminary and chaplain to the sisters of Our Lady of Good Counsel (OLGC) for many years. Msgr Tibanyenda also lectured at the National Major Seminary, Ggaba. His commitment and love for education had seen champion the establishment of Uganda Martyrs’ University, Nkozi. At the time of his death, he had retired from active service and was living in the Priests’ House in Ibanda. “As AMDA Family we join our dear Archbishop of Mbarara and the entire Archdiocese in mourning the passing on of a great pillar,” Mr Ahimbisibwe said in a message. “Msgr Hillary will be forever remembered for his selfless and dedicated service to the church. He is a contemporary of the Late Bishop Emeritus J.B. Kakubi and they worked together so closely in taking care of God’s people,” he said.